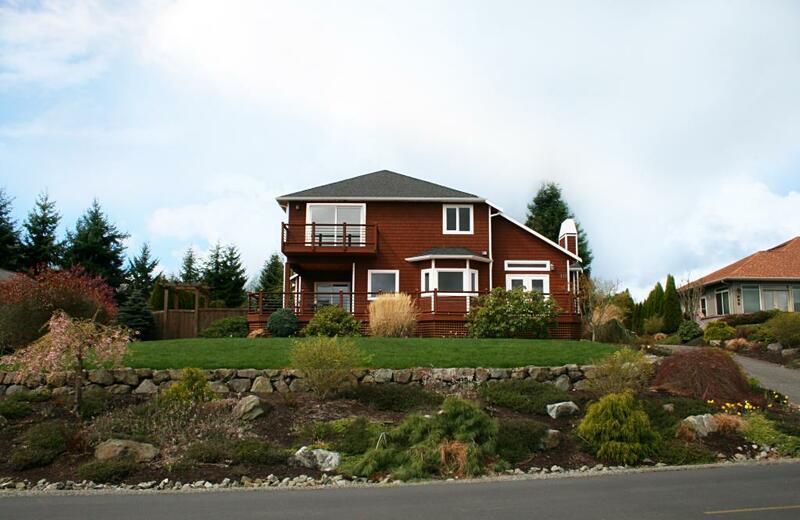 Beautiful refinished hickory floors and granite counter tops are a few of the upgrades to this gracious view home of the attractive Camano Hills gated community. Emphasis is placed on a gourmet kitchen with dual ovens, extra prep sink, stainless steel dishwasher and refrigerator, side bar, pantry and computer desk area if you choose . A wrap around deck hosts the ever changing views of Port Susan, the Cascades and the lights of Warm Beach. Three bay garage and overhead storage easy to organize!